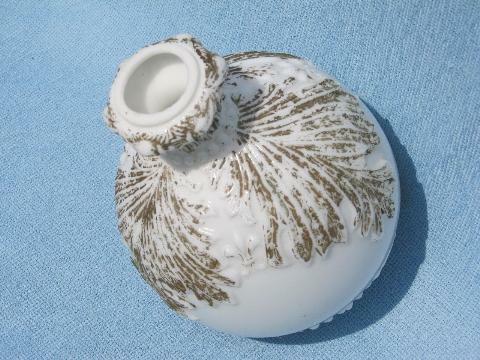 Antique milk white glass lamp body with acanthus leaves pattern, early Consolidated glass or similar? This is not marked at all that we could find. 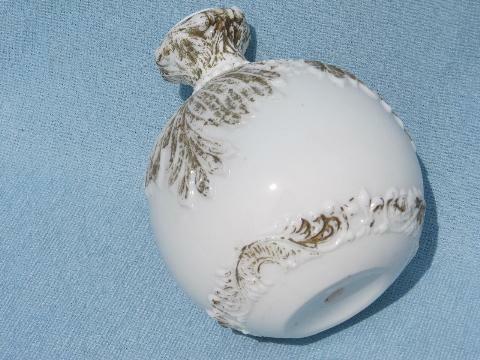 This stands 7" tall, with openings at either end as shown. 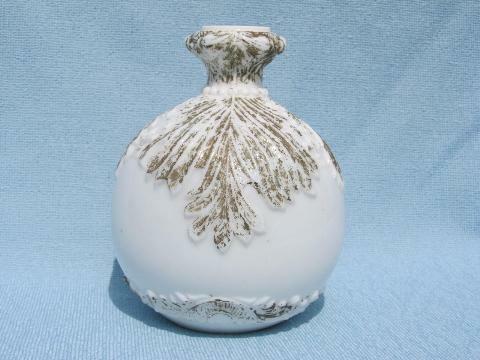 The original gold or gilt decoration is rubbed and worn, but the glassware is in very good condition, only minor edge roughness, and no cracks.